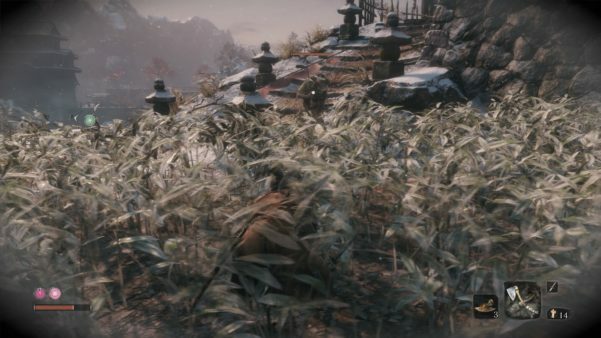 I was excited going into Sekiro, especially after I caught a glimpse of some gameplay footage showing what looked like a heavy reliance on stealth and …..there was a grappling hook! As an old school Tenchu fan, I thought maybe this game would in a round-about way give me the Tenchu experience I so wanted on modern consoles. In some ways I was right – the movement, the climbing, the stealth is all very Tenchu. 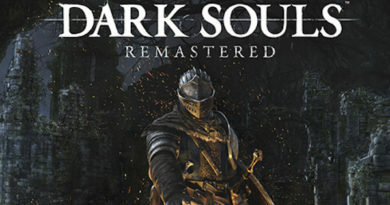 But From Software have also had other ideas, which for fans of their previous games will likely love and adore, but for other gamers it may send them screaming for the hills. As this is still a From Software game so grinding, repetition and mastering of each encounter is key….as is dying… like… a lot. The setup is reasonably simple. Sekiro “The Wolf” is a Shinobi warrior charged with the protection of a young lord. He fails in his duty, the prince is taken by an evil Samurai…who also takes one of Sekiros arms for his trouble. 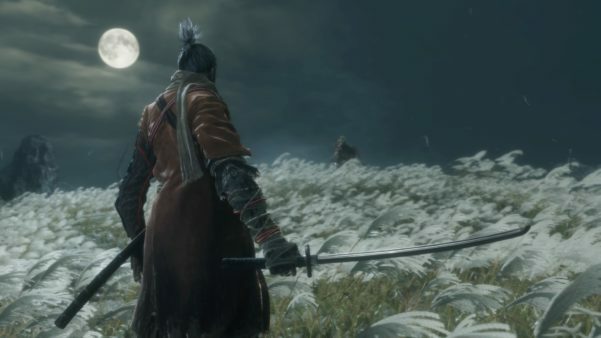 Sekiro wakes to find a Prosthetic Arm has been attached to his body and with some assistance from a group of outcast type characters, he must reclaim his young charge. 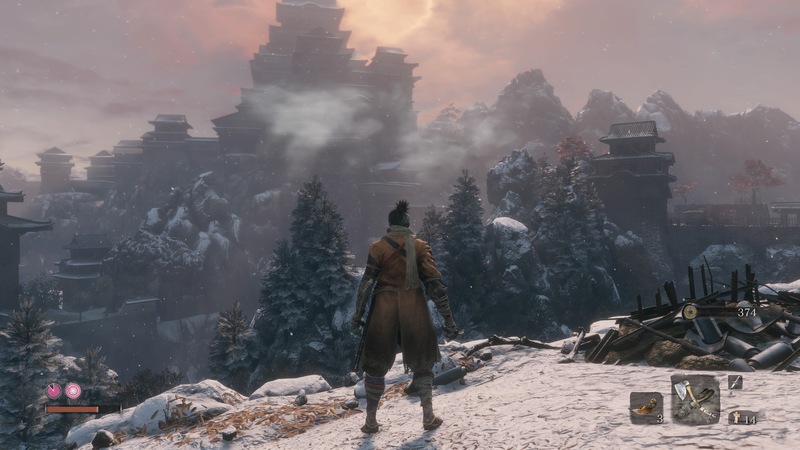 As with the From Software games that have gone before, the levels are open to exploration, but the freedom of movement in Sekiro is vastly different, with speed and stealth a driving feature. Similarities remain, with safe areas only achieved through hard fought victories to get access to Prayer Idols (ie: Bonfires), and the penalty for death is real, with XP and money dissolving away on every death. 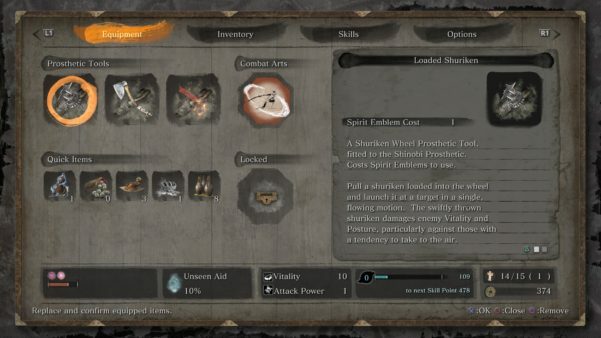 Levelling up skills, combining potions and buffs at the right time and mastering of the combat mechanics are crucial to push on in Sekiro. Unlike the Souls games, there are no builds or RPG elements to suit your preferred playstyle, which some Souls fans may bork at. 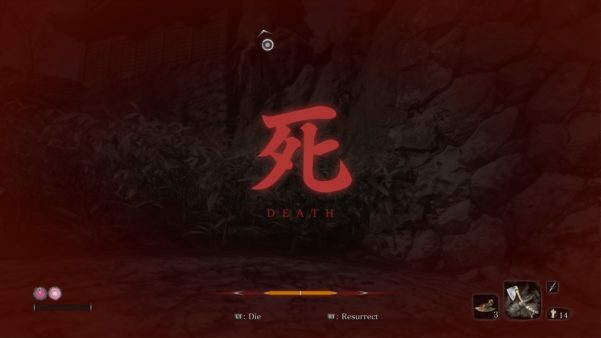 Sekiro has a simple combat system that won’t allow ‘turtling up’, or timed rolls for counters. This title requires you to go toe-to-toe and perfectly time parries…… Parry, parry, parry or die. The two systems working in combat are ‘Vitality’ (ie: health) and ‘Posture’. Posture is like endurance and the goal is to get an enemies Posture meter maxed so a killing blow can be made to significantly damage Vitality. The Posture meter fills slowly if you attack, attack, attack…to make a real dent you must perfectly parry ENEMY attacks. It is a combat system that asks the gamer to put it all on the line. With minor enemies, it’s not such a big deal, if you miss the timing, sure you take a hit and lose a bit of health but you can soldier on. However the same is expected with bosses, that is, stand there and gamble your life on your skill to hit the ‘Left Bumper’ at the right time to parry…..no pressure though… if you miss that narrow window…you die. The prosthetic arm which allows for the grappling and zipping across the various maps also has upgrades that can assist in encounters, but trial and error is the name of the game, just like in Souls. Some arm upgrades help with beasts, or breaking shields and even fire damage, but it only assists. Nothing can short-cut the core combat mechanic of standing in front of certain death and timing a parry. So, no pressure! 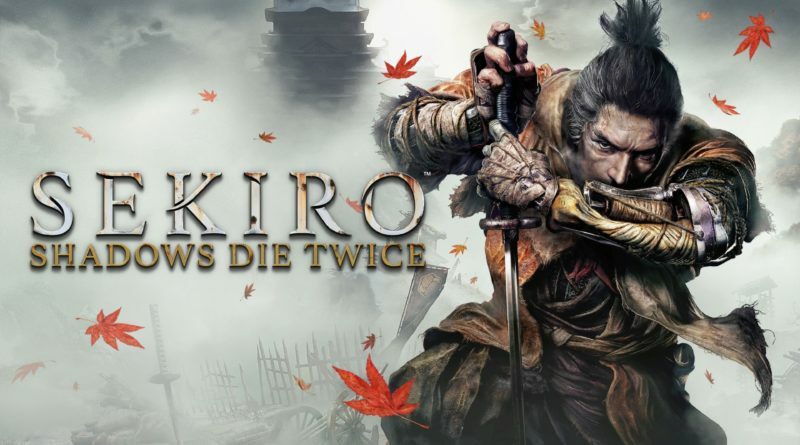 I so wanted to like Sekiro, I soooooo did. The dark, mystic-esque feudal Japan setting, the movement, the stealth (at least on Minor enemies), was just so Tenchu: Stealth Assassins from 1998 on the Playstation. But the brutal boss fight difficulty, the unabashed penalty on death and gamer rage it built in me, just killed the experience and I admit, I haven’t finished the game. Look, even the addition of a variable difficulty setting or a ‘prompt’ to show when to parry (ala Arkham style games) would have made this more approachable for me, but From Software have a clear creative vision and it is uncompromising. I actually respect From Software immensely for respecting us all as gamers. There is no hand holding here. No carefully placed objective markers, friendly tutorials or helpful checkpoints. This game says “You gamers are pretty smart and skilled types, have at it”. Problem is, I think I am smart enough to identify and understand the game systems, but I just don’t have the time or importantly the patience to build the skills to get the most out of this game.